The following group types are not accepted by this hostel: Holiday with Friends, Junior / Primary School, High / Secondary School, College / University, Business Trip, Stag/Hen/Bachelor Party If you have misrepresented the type of group you are booking for, your booking may be cancelled by the hostel." 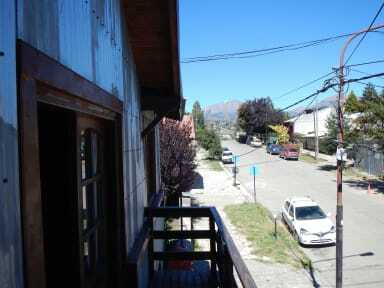 Hostel La Justina opened its doors in 2006, in the course of all these years we have learned to give travellers, comfort and service that characterises Bariloche, which makes it a city chosen by Tourism in all seasons. La Justina is a place where you will feel like in your own house, cosy atmosphere, with its comfortable and spacious living-dining room, fully equipped kitchen, common spaces, fireplace, comfortable rooms and bedrooms equipped with individual lockers. To start the day you will have breakfast with bread and homemade cakes, regional fruit jams, coffee and chocolate and something special for celiac or vegans. With us, you will have information of outdoor activities, maps and reservations of excursions for all the traditional walks of Bariloche, as well as school of ski and rent of equipment of snow in the winter, also rent to car and bike rental. Transfer from and to the airport. It could be the breath-taking views of the Cordillera de los Andes, the classic architecture, the regional foods, the chocolate shops, its craft beers and the mystic of travelling in Patagonia, which makes every year for people to travel to Bariloche. 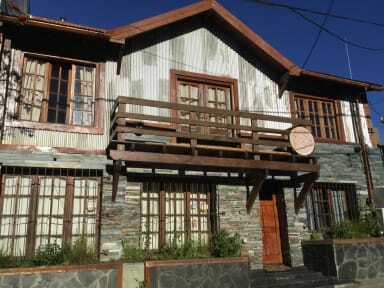 The hostel is located in the centre of Bariloche, just five blocks from the main square (Centro Civico) and the Nahuel Huapi Lake, it provides a great option for anyone who wants to be in the heart of town. Spacious shared dorms, two rooms of 4 beds one mixed and one female and two rooms of 6 beds all with individual lockers, 2 double rooms with shared bathroom, a double room with private bathroom and a bungalow for 4 people. Check in from 14:00 to 22:30. Check out from 09:00 to 11:00. This hostel has everything you need: great atmosphere, great breakfast (homemade bread and cakes), nice beds, very clean and a very friendly owner! Nice and relaxed! Highly recommend it! Fantastisch hostel! Goede sfeer, prima locatie. Leo is de beste manager ever! Zo vriendelijk en behulpzaam! Ontbijt is super lekker ! Het is er erg schoon. Ik zou niet weten waarom je dit hostel niet zou boeken! Helemaal top! Amazing atmosphere. Amazing kitchen. Amazing breakfast with amazing homemade cake & bread. Amazing staff who gives amazing information. Amazing comfortable beds, security and cleanliness. Good location. Good Wi-Fi. If you're not looking for good value for your money and for an amazing place to stay & meet nice people, then this is not for you. The service was great, including the home made bread, cake, jam and real coffee! Arranging activities like horse back riding or renting a car via the hostel went smoothly. Information service was also very good. I enjoyed my stay a lot!! Very nice hostel! Breakfast with cake and fresh bread. The owner is super nice, cares a lot! Lovely hostel a little bit town. Very clean, nice living room and a big kitchen. Host is super friendly and feels like coming home in his house. Mattress and pillow were perfect and the bathroom was brand new I think. More a hostel for hikers than for people looking for a party. We had a very nice stay at La Justina Hostel! The atmosphere is very good, due to the common areas that inspire socializing. The kitchen gets crowded in the evenings, but there's quite a lot of room to cook. The owner, Leo, is very involved and could always be approached with questions. The breakfast was nice, with bread, cake and cereal. Spacious rooms, rather low bunk bed. Dorm had own bathroom and there were more on the corridor. The guy who runs the hostel is really helpful and breakfast is great. Large kitchen and common area, medium social; most people just go to bed after a day of hiking/cycling. It's a bit out of town, but certainly walkable.